Is there anything better than the sweet and aromatic flavour of almonds, encased in flaky pastry, dusted with icing sugar and served with hot coffee?! I really don't think so. For as long as I can remember, the almond croissants from Pret have been my ultimate baked treat and since going vegan almost three years ago, there's been a huge (almond croissant shaped) hole in my heart. Finally, I decided that enough was enough and I took my almond croissant cravings into my own hands (with some very pleasing results, I might add). 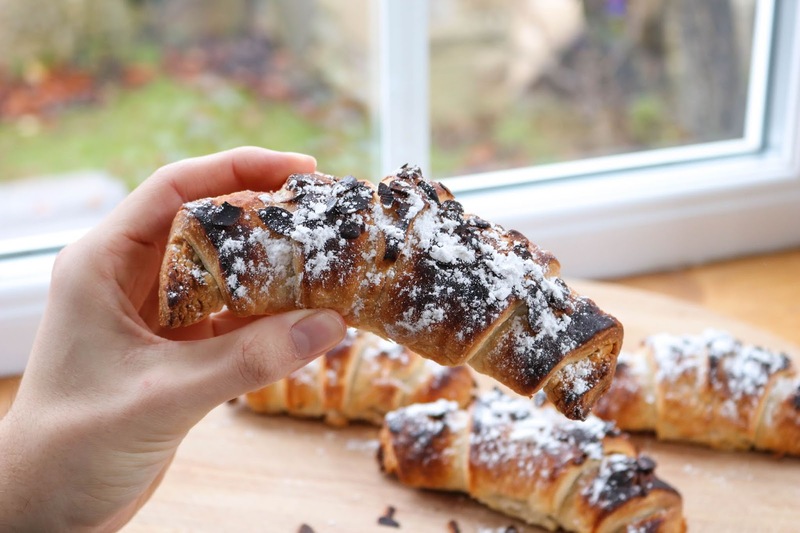 Using some super easy pre-made puff pastry, whipping up bakery-quality almond croissants in your own home is way easier than it sounds and, in around 30 minutes, you can have a fresh batch of warm, flaky and sweet almond croissants to dig into! Start by pre-heating your oven to 200 degrees celsius and lining a baking tray with greaseproof paper. Check the instructions of your puff pastry and, if it needs to reach room temperature before use, take it out of the fridge. Prep your flax egg and place to one side to thicken for a couple of minutes. In a bowl, combine your almond meal and icing sugar, stirring well to ensure there are no lumps. Once combined, add your thickened flax egg and stir to form a thick paste. Add your almond extract to the paste, stir well and place to one side. 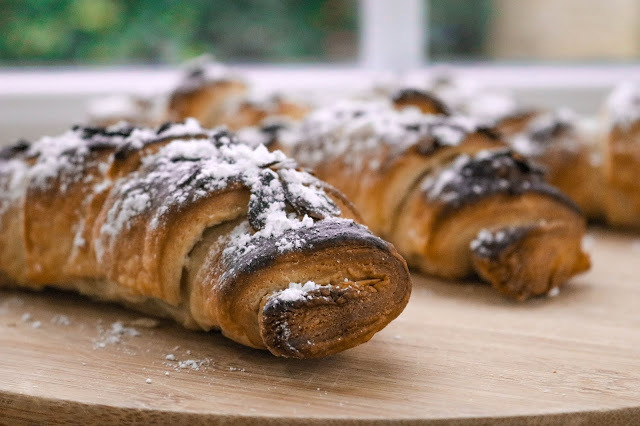 On a floured surface, roll out your pastry into a large rectangle and then cut out your croissant shapes, to do this, use the whole piece of pastry and cut long triangles with a large flat base and a thin point - alternate which side of the pastry is the base and which is the point each time. Once your croissants are cut, add around a tablespoon of your almond paste to the base of each croissant and spread evenly. Then simply roll the croissants up and make sure to press the thin point into the rest of the croissant once rolled as this will ensure the croissant stays together whilst baking. 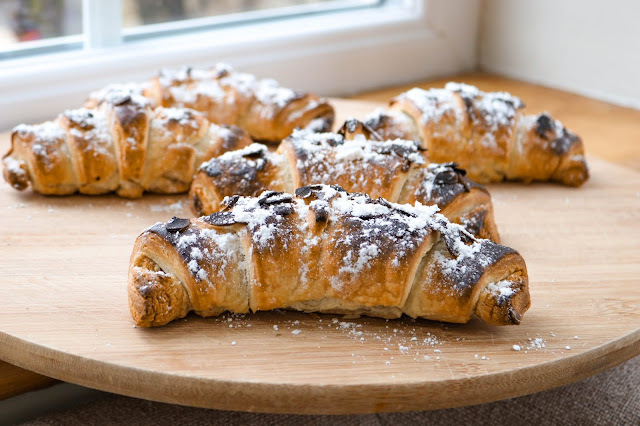 Now, transfer the croissants to your baking tray, brush lightly with almond milk and sprinkle with flaked almonds. 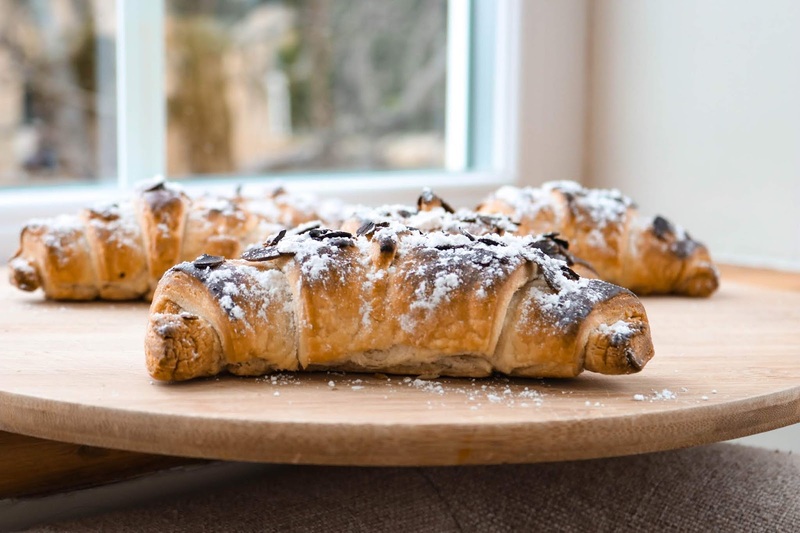 Place the croissants in the oven to bake for around 20 minutes or until flaky and golden brown. Once the croissants are baked, dust generously with icing sugar and dig in - remember, almond croissants always taste best warm and served with a hot cup of coffee.